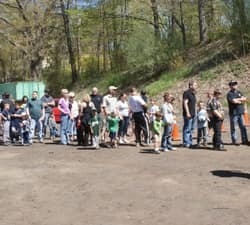 Our Connecticut Toyota dealership is dedicated to giving back to the community and the people in our own backyard. 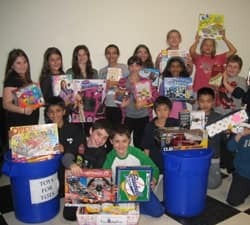 We feel that all our success is provided from the whole community, therefore we would like to donate back. As a major organization, we’re happy to be part of is the Monster Truck Rides event at Bristol Motor Speedway in Tennessee, where we give rides to kids with Autism and MS in the Tundra Monster Trucks. We also honor the people who serve in our U.S. military by giving them rides in our Tundra Monster Trucks. 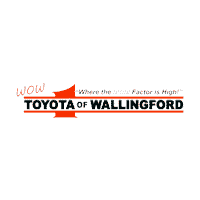 In late 2012, WOW Toyota of Wallingford dedicated the Toyota Tundra to the victims of the Sandy Hook Elementary School shooting. We shared the tailgate with the 26 stars in memory of the victims of the Sandy Hook tragedy. To honor the 20 children and 6 staff members of the school tragedy, we wrapped the Tundra Thrasher in the school colors. 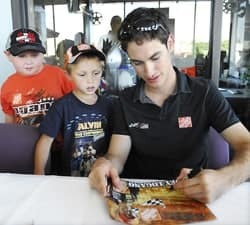 In June of 2012, we invited the community to visit our dealership to meet Joey Logano, Nascar and Toyota Racing Driver of the #20 Toyota Camry. Our loyal customers and fans had the opportunity to visit our dealership to meet and greet with Joey as well as get his autograph and a photo with the Nascar superstar. 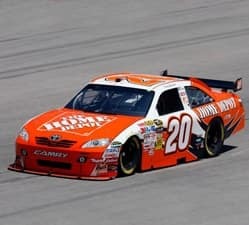 Joey Logano has stayed within the top 25 ranking overall for the past four years. 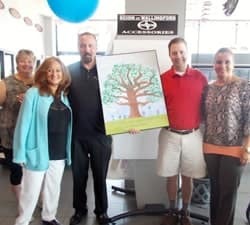 Also in June of 2012, students from the EC Stevens School in Wallingford created a picture of a tree made of the student’s fingerprints and presented it to our Connecticut Toyota dealership. 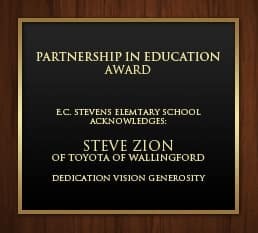 This was a thank you gift from the school and students for Toyota of Wallingford’s donations that helped to fund smart boards and iPads for the classrooms at the school. 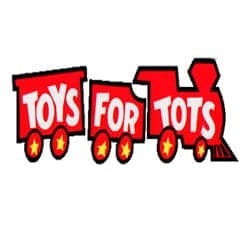 Helping less fortunate children throughout the United States experience the joy of Christmas; playing an active role in the development of one of our nation’s most valuable resources – our children; uniting all members of local communities in a common cause for three months each year during the annual toy collection and distribution campaign; and contributing to better communities in the future. 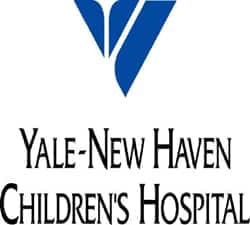 Yale-New Haven Children’s Hospital physicians come from some of the finest academic pediatric programs in the world and bring with them new approaches to childhood diseases, new technologies for diagnosis and new therapies for treatment. Yale New Haven School of Medicine works to provide the most advanced medical care available. 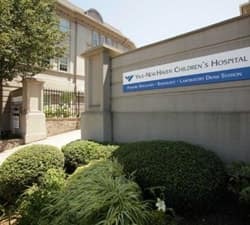 Children are cared for in a facility specially designed for the unique care of children. 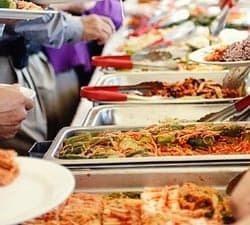 By everyone helping the community, this has led to the number of homeless individuals in Connecticut decreasing compared to the countries average. 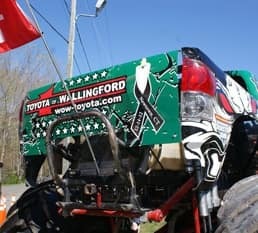 We here at Toyota Of Wallingford are doing our part to donate to these non-for-profit organizations. 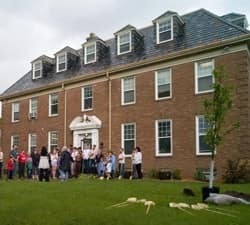 The Rushford Safe Home gives a place to stay for the less fortunate. 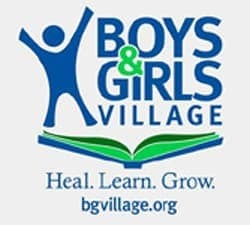 The Boys & Girls Village provides a wide range of family-centered services and evidenced-based treatment approaches that helped children heal, learn and grow. 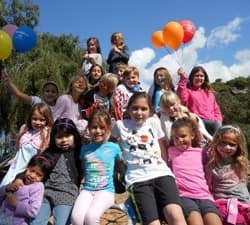 Make A Wish grants the wishes of children with life-threatening medical conditions to enrich the human experience with hope, strength, and joy. 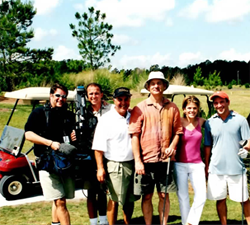 Every year a charity golf tournament is held to raise funds for our children who deserve to have their dreams come true.